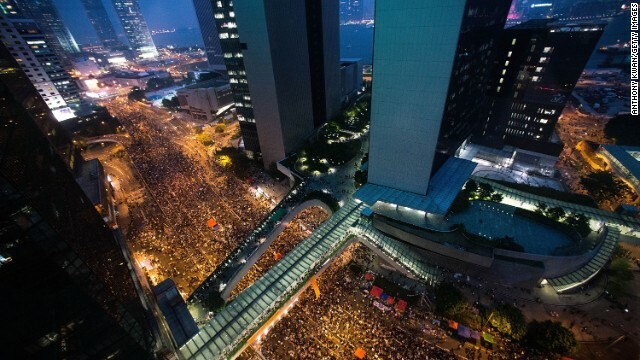 On Tuesday evening, I happened to be in Hong Kong with a friend and we walked the protests. As of today, it seems that the government and police are starting to get impatient with the crowds and that clashes are becoming more likely. I stand with democracy in Hong Kong! The video and photos here show only a fraction of the crowds. They were huge, as shown in this photo which I believe was taken while I was in the crowd.